Only three weeks into the offseason, the Yankees have made their first significant move. 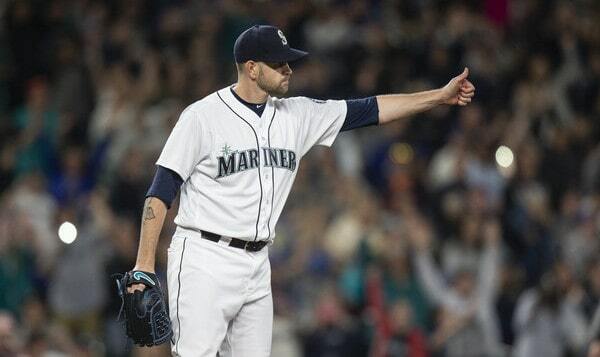 Yesterday evening the Yankees shipped three prospects to the Mariners for the man they call Big Maple. Justus Sheffield, Erik Swanson, and Dom Thompson-Williams went to Seattle for left-hander James Paxton. A big deal, this is. Here are some thoughts. 1. Did the Yankees take on risk with this trade? Of course they did. Every trade involves taking on some risk. The Yankees got the less risky end of this trade though. Yes, Paxton carries more risk than the typical 30-year-old because he has an injury history, but he’s still established as a comfortably above-average big league starter. Sheffield still has to iron out his command and he himself has some injury issues (shoulder this year, oblique last year). Swanson? Thompson-Williams? Who knows. In an ace-for-prospects trade the team that gives up the prospects to get the ace rarely regrets it. Maybe Paxton isn’t a true ace. I don’t think he is. I believe there’s a certain level of durability and year-to-year consistency required to be an ace and he’s yet to show it. But Paxton is awfully good. Trading prospects for multiple years of an above-average starter is exactly what a contending team should do. The Yankees took on risk? Well, yeah, of course. But they got the sure thing in this trade, or at least the closest thing to a sure thing, anyway. Fifth highest whiffs-per-swing rate on fastballs in the strike zone in baseball and the highest among lefties. That is my kinda guy. Strikeouts and swings and misses play everywhere, especially in Yankee Stadium and the hitter friendly AL East. Jeff Sullivan wrote about Paxton recently and included a neat chart that shows he ranks near the top of the league in basically everything. Strikeouts, swings and misses, weak contact, so on and so forth. Like I said, I wasn’t sold on Paxton coming into the offseason. Once I looked at him a little deeper and saw how he was doing it, I came around. The price is right (more on that in a bit) and Paxton’s a good fit. I really like this trade. 4. Aside from home runs, the big concern with Paxton is his injury history, which isn’t as bad as I thought but is still pretty bad. He missed three weeks with back trouble this year, a month each with forearm and pectoral injuries last year, four months with finger problems three years ago, and four months with lat problems four years ago. The elbow and shoulder are good, but still. That’s a lot of injuries. “I’ve learned how to make sure those things don’t happen again through exercise or whatever and I’m doing everything I can to prepare myself and be ready for an entire season,” said Paxton during his post-trade conference call. Brian Cashman said the Yankees reviewed Paxton’s medicals and believe he is “trending in the right direction,” which meant they didn’t see anything scary. No signs of structural damage or anything like that. That’s all well and good, but the best predictor of future injury is past injury, and Paxton’s found his way to the disabled list at least once every year from 2014-18. Only once has he reached 170 innings and only three times has he reached 160 innings. I suppose the good news is two of those 160-inning seasons have come within the last three years. Going forward, I think you pencil Paxton in for 160 innings and consider anything more as gravy. This is a (just turned) 30-year-old pitcher though. He’s not a 22 or 23-year-old kid, you know? If he’s pitching well, let him go and don’t worry about an innings limit. The Yankees let Lynn and Happ continue throwing all those fastballs and I imagine they’ll do the same with Paxton. No sense in fixing what isn’t broke, right? Is this all a sign the Yankees are moving away from the anti-fastball philosophy? Eh. I don’t think we can say so definitively. I think these pickups are at least partly a function of the market. The Yankees traded for Lynn and Happ because they were available. Same with Paxton. You can’t acquire players who aren’t available, right? Right. Lynn, Happ, and Paxton were available and the Yankees went out to get them. I don’t think they intentionally sought out fastball guys. I think it just kinda worked out that way. Kinda funny though, isn’t it? 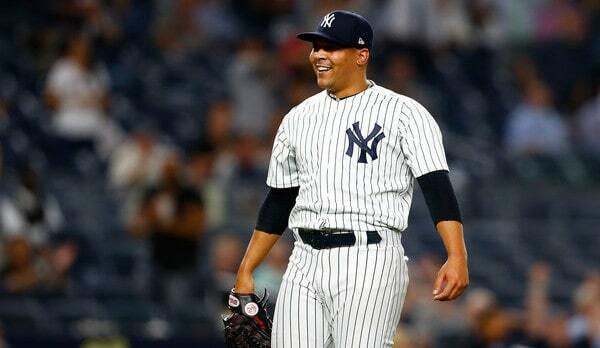 The Yankees have been an extreme anti-fastball team the last two years and now they went out and added a bunch of pitchers who live and die with their heaters. Baseball can be funny. 6. Trading Sheffield stinks but I am totally cool with giving him up to get Paxton. Sheffield’s best case is basically Paxton, that power left-handed starter who misses a ton of bats. That’s Paxton now and that’s what Sheffield projects to be in the future, minus about four inches and 35 pounds. When you’re ready to win right now, of course you trade a potential Paxton for the real Paxton. Get the guy who can help you win today. I wrote exactly that over the summer, when I wrote a series of devil’s advocate posts explaining why the Yankees should trade some of their top prospects. Sheffield’s timetable didn’t really line up with the rest of the Yankees. They’re ready to win right now. It might be two or three years before Sheffield gets stretched out to 160+ innings and settles in as a big leaguer, and is truly ready to be an impact starter. I think he can do it. I think he can be an impact starter. The command needs improvement but the stuff is legit. It won’t happen overnight though. The Yankees are poised to make a run at the 2019 (and 2020) World Series championship and Paxton is much better able to help them do that than Sheffield. The Yankees moved up the timeline, basically. They traded Sheffield for his best case scenario, giving up four years of control in exchange for a big increase in certainty. 7. I don’t have a strong opinion about Thompson-Williams. He had a nice breakout season this year and I was curious to see whether his new launch angle approach worked at Double-A going forward. Now I’ll have to watch from afar. As far as I’m concerned, Swanson is the second piece in this trade, and he’s a quality prospect who will probably help the 2019 Mariners more than Sheffield. He’s an older prospect (25) with good stuff and good numbers, and he’s basically big league ready. Had he not been traded, the Yankees would’ve added Swanson to the 40-man roster prior to today’s Rule 5 Draft protection deadline and there’s a pretty good chance we would’ve seen him on shuttle duty this year. The thing is, the Yankees are loaded with pitching prospects like Swanson. They don’t have obvious spots for Domingo German and Luis Cessa, both of whom are out of options. Mike King, Jonathan Loaisiga, and Chance Adams will be in Triple-A. Trevor Stephan, Nick Green, Garrett Whitlock, and Nick Nelson are right behind those dudes in Double-A. Swanson’s a quality prospect who will have a much greater opportunity at big league playing time with the Mariners than he would’ve with the Yankees. The Yankees’ farm system is an Erik Swansons factory these days. They should trade guys like him as the second piece for impact big leaguers like James Paxton eight times a week and twice on Sundays. 8. My quick math puts the Yankees at $25.2M under next year’s $206M luxury tax threshold. The inevitable Sonny Gray trade could clear up another $9M or so but that’s not a safe assumption. The Yankees may end up taking some salary back in a Gray trade. With that $25.2M the Yankees have to add another starting pitcher, replace the injured Didi Gregorius, and add another reliever or two to replace free agents David Robertson and Zach Britton. So, on one hand, there’s enough room under the luxury tax threshold to sign Patrick Corbin. He’s going to get paid but something north of $25M per year would surprise me. On the other hand, signing Corbin would leave little spending room for a Gregorius replacement and a reliever. We already knew that, realistically, there was no way the Yankees could sign Manny Machado or Bryce Harper without exceeding the threshold. The Paxton addition means that, unless the Yankees can unload Gray’s entire salary, they’ll have to go over the threshold to sign Corbin and adequately replace Gregorius and Robertson/Britton. Does this mean Corbin is off the table and a lower cost guy like J.A. Happ will become the primary target? We’ll see. The main point I’m trying to make here is that the Yankees still have some money to spend but also some needs to address. A rotation spot is still open, a middle infield spot is still open, and a little bullpen help would be welcome. The Yankees are far from done this offseason.